from the early 1900's until late 1950's. if they didn't they tossed it into a ravine somewhere else. dump for almost 60 YEARS. seen that much rusted metal and broken glass outside a landfill. and right people to operate it safely. No one was injured. provided leadership, tools, gloves, 2 dumpsters and lunch. placed over the area and native grasses and shrubs will be planted. 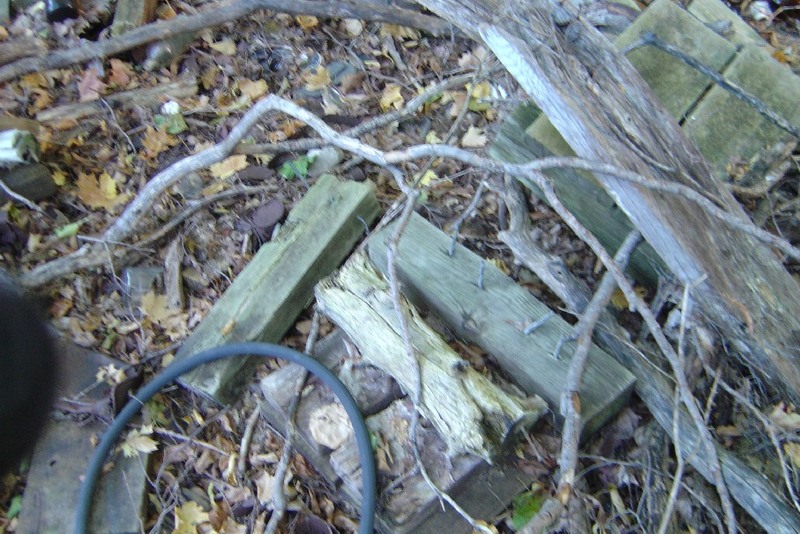 habitat was enhanced to provided a south facing place for snakes to live. 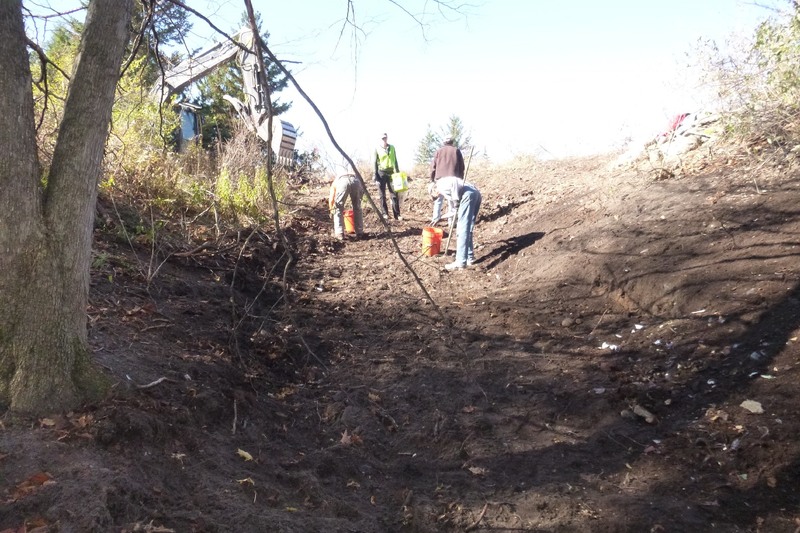 Here is a link to the photos of the site before and after our efforts. betterment of our NW Michigan woods and trails. Also, I want to thank ALTA Equipment for donating the loan of the VOLVO Excavator. We literally would not have been able to do this project without it. watching the artist Michael Angelo work on the Cistine Chapel with an excavator. for donating TWO 15 yard dumpsters on very short notice for this project. Thanks to everyone who came out to work. We had people from all walks of life. came to show their support for a cleaner and more beautiful Traverse City area. Greetings Everyone, happy first snow day – aren’t we all excited@#$%^!!!!!!!!!!!!!!! Here are my belated photos. 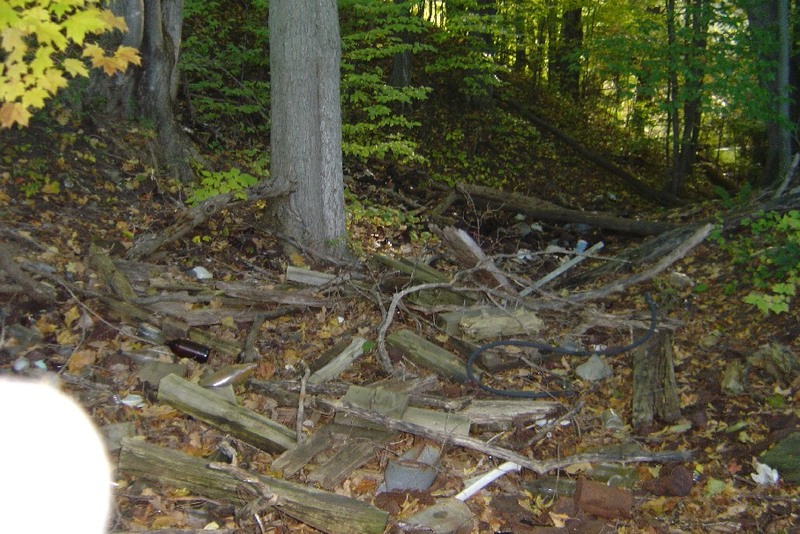 Ada has been keeping me busy on trying to clean-up all the illegal dumpsites in GTC before 11/15/2014, the opening of deer season. We have two more to clean-up on Monday, which may be the last of the currently known sites. 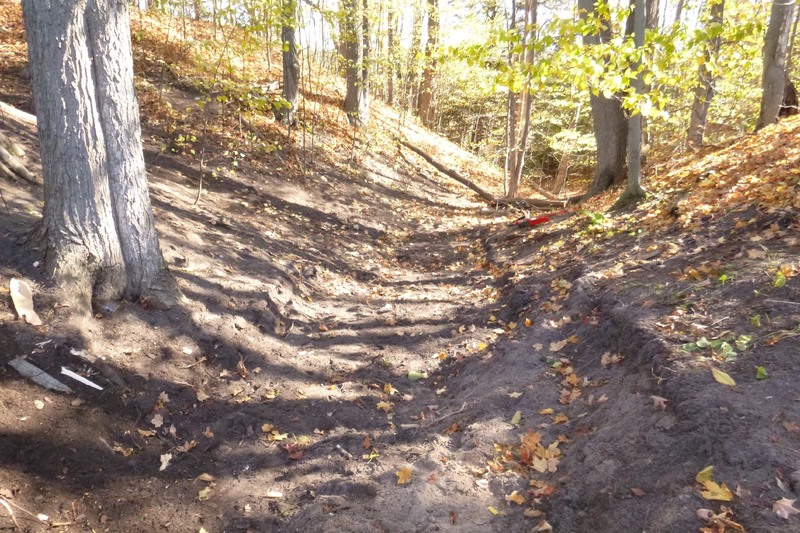 Also, Woody, Jim Woodburne, has been keeping me busy working on erosion gullies on the Vasa Trail to get it in shape for the ski season. My heartfelt thanks and appreciation to all of you who made this difficult clean-up a resounding success!!!!!!!! 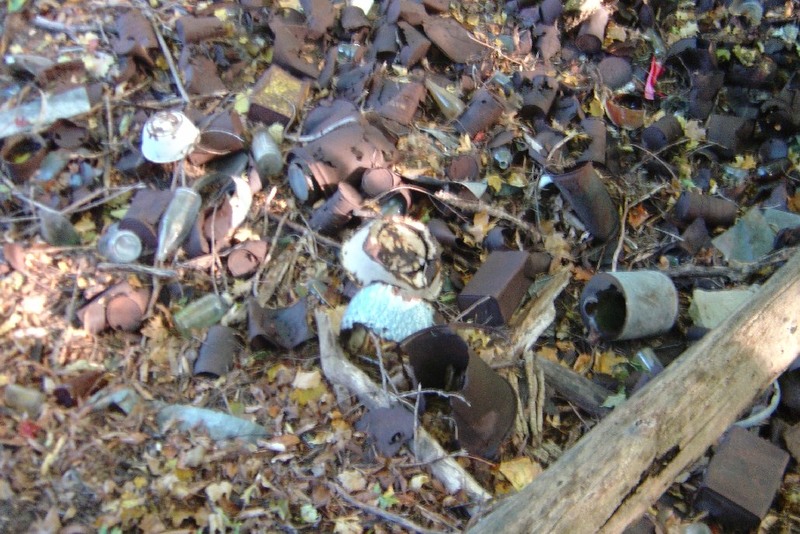 The photos are proof that we turned a century old, nasty dumpsite in to beautiful parkland, that is just 50’ from one of the Nature Education Center’s trails. Norm Fred – the Father of the BRCS, which has cleaned up the rivers in NW Michigan, and who has, now, expanded the scope to include the state and county forests. I am in awe of his ability to recruit volunteers for cleaning up trash, including investing the homeless in to the clean-up of our environment. The two homeless guys, on Saturday, were some of our hardest working volunteers. I think they left feeling good about life and themselves, which is a wonderful accomplishment. Susie Shipman – the GTC Manager of Resource Recovery (aka as the The Trash Lady), who walks the talk, provided the wonderful lunches, gloves, etc. and the person with all the vital contacts on her cell phone. When we filled up the 15 yd dumpster she had talked American Waste in to donating, she had another 20 yd dumpster on site within a half hour – most people have to wait several days to have a dumpster spotted, let alone on a Saturday! Tim Trudell – the GTC Rd Commission Facilities & Equipment Manager – who talked Alta Equipment Rental in to donating a top of the line, tracked excavator – that was the quietest piece of equipment I have ever been around, recruited his top excavator operator, John Drzewiecki, to volunteer his time, and on a Saturday, when he was probably out training for the Iceman, took a call from John, when the GTCSCD tractor was not working, and provided a John Deere large front end loader to be operated by someone he didn’t know. Wow!!!!!!! John Drzewiecki - the GTC Rd Commission excavator operator, who volunteered his time on a Saturday, even though his wife, Carol, says he hates to give up his weekends. Tim had stated John was very, very good at what he does. That turned out to be a gross under-statement! I had to keep reminding the volunteers and myself, not to just stand there in awe with our jaws hanging open while he operated the excavator like it was an extension of his hand. Also, he recruited his wife, Carol, to help with the final raking and clean-up. Tom Vitale – the GTCSCD Parkland Specialist, who recruited several of his associates, provided most of the tools that we used, went out on Friday to blow the leaves off the site, and stepped-up to run the biggest piece of equipment he had ever operated, and very effectively, I have to say! It did take a little coaching from John – I had to chuckle when over the radios, John was telling Tom “You are the dustpan and I am the broom”, when they were trying to transfer the trash from the excavator/pile to the front end loader. So, I feel honored/very gratified to be part of such a hard-working, successful team of volunteers!!!!!!! This album has 22 photos and will be available on OneDrive until 1/29/2015.